Sure, you’re familiar with dandelions, but have you ever smelled one? Their fragrance can range from an earthy smell to quite sweet, but when the blossoms are picked at the right time they have the aroma of honey. This isn’t surprising because they are one of the first food sources for bees each year. 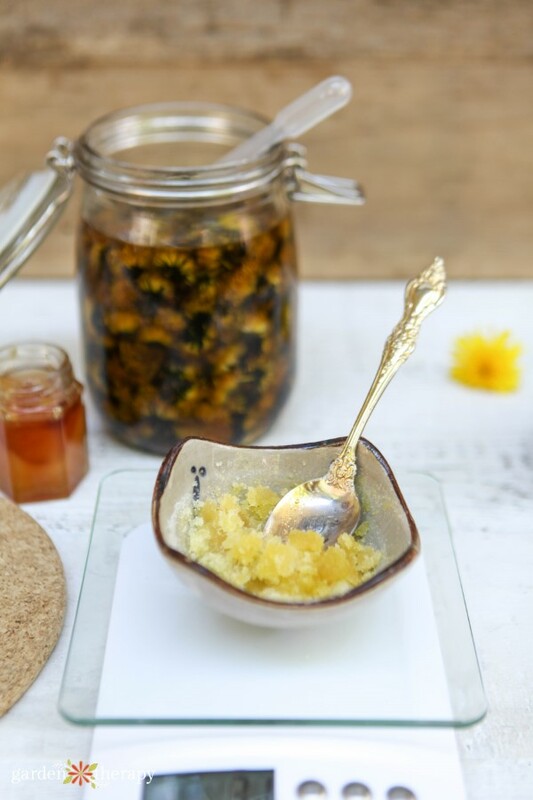 The flowers also make wonderful infused oil that is great for chapped lips. 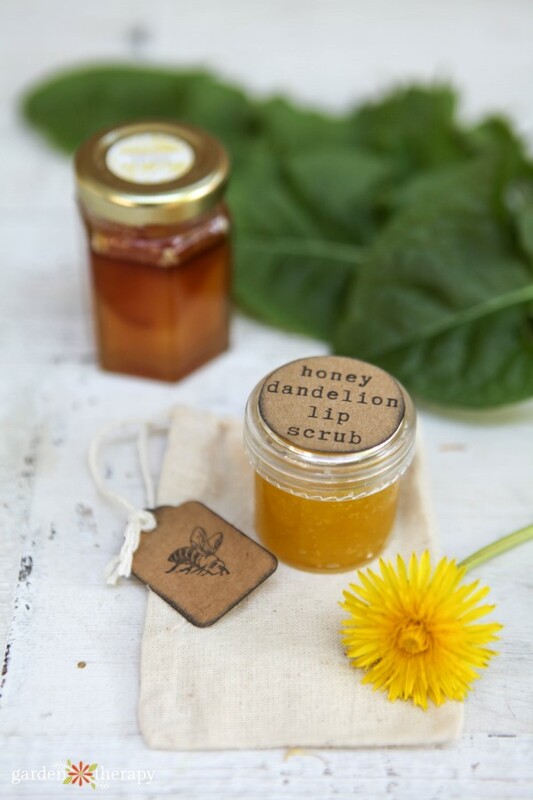 Paired with honey and sugar, this exfoliating lip scrub makes lips very kissable. 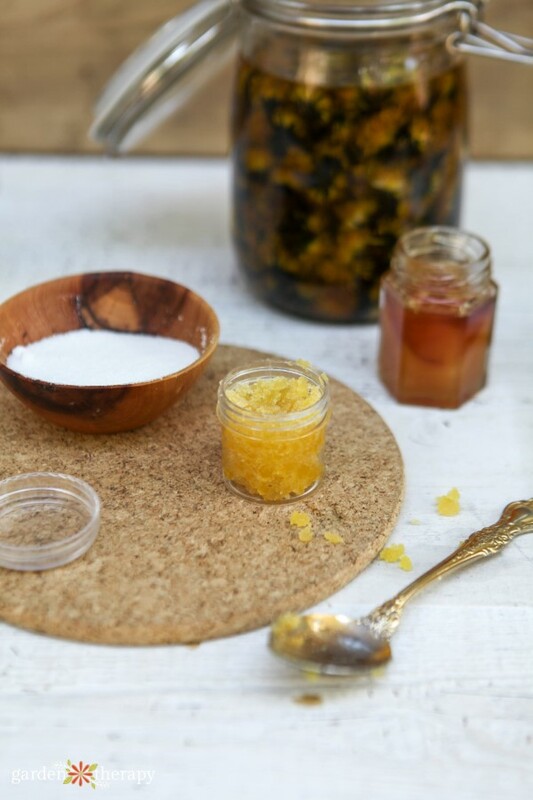 Honey has natural anti-bacterial properties and a ton of antioxidants that nourish and repair skin. It moisturizes, soothes, and stimulates tissue regeneration, making it a wonderful ingredient to relieve chapped, irritated lips. 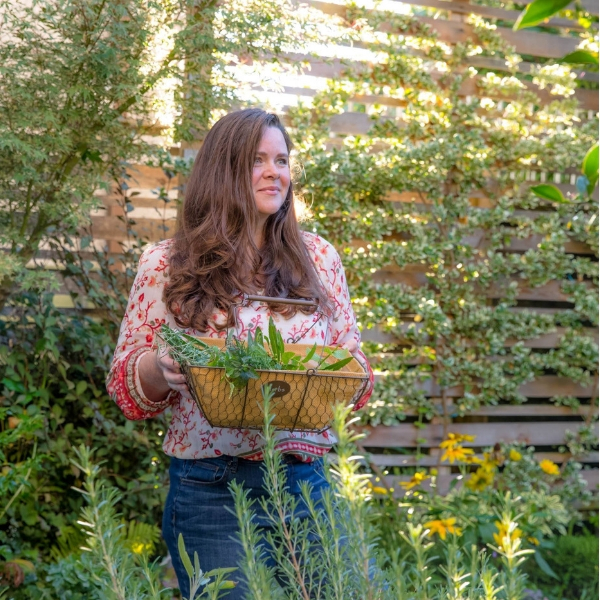 The best botanicals are homegrown or purchased from reputable sources that have not sprayed or treated botanicals with any pesticides or herbicides. 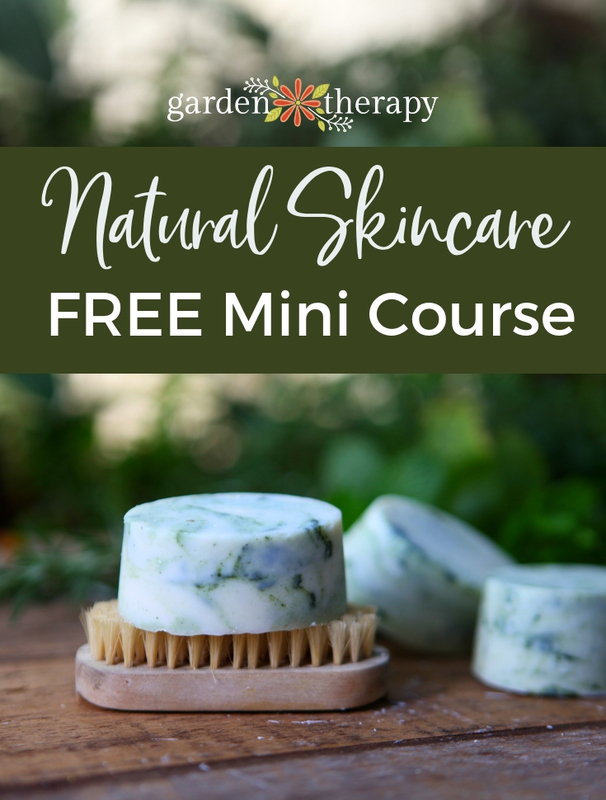 People are notorious for dousing dandelions in chemicals to remove them from their pristine lawns, so when foraging look for dandelions in meadows or yards that you know have not been treated with chemical pesticides and herbicides. 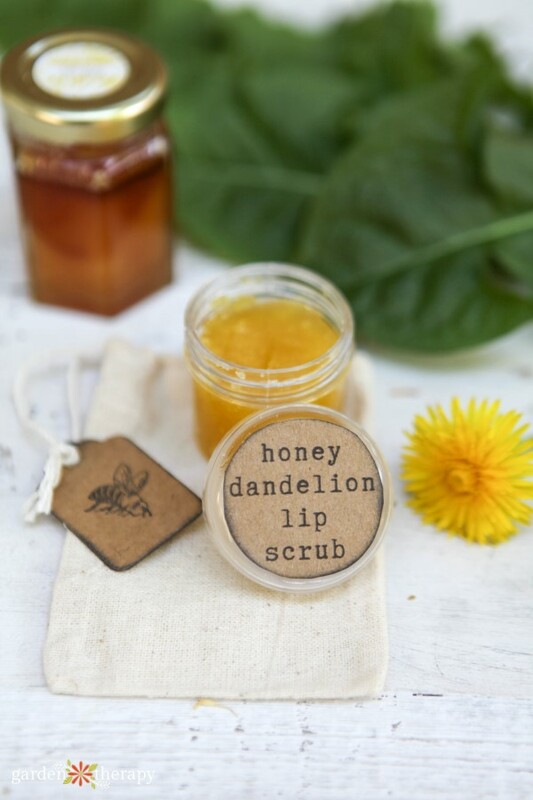 Those are not the ingredients you want to add to your lip scrub! 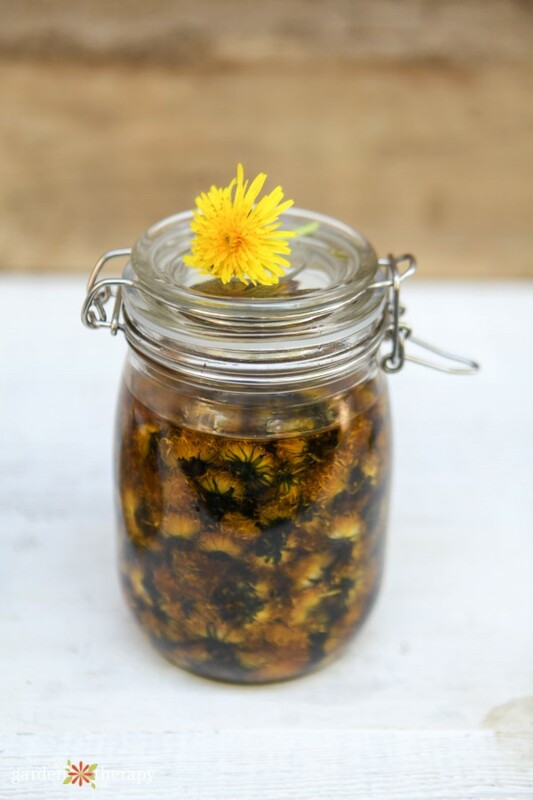 Infuse olive oil with dandelion flowers following the instructions in this post. Lay out your supplies and ingredients. 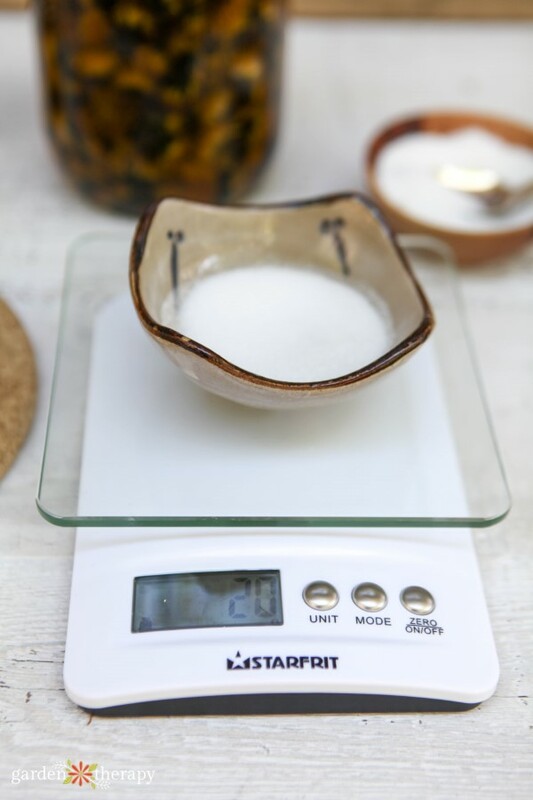 Set a small dish on the kitchen scale and set it to zero. Add 20 g sugar. Zero the scale and add the honey and oil. Mix them together well. If you like the consistency, you can package it up now. If you would like it to be wetter, then add more oil. If you would like it to be drier, add more sugar. Spoon the mixture into a small, clear pot. Store in a small, airtight container in the fridge for up to 30 days. 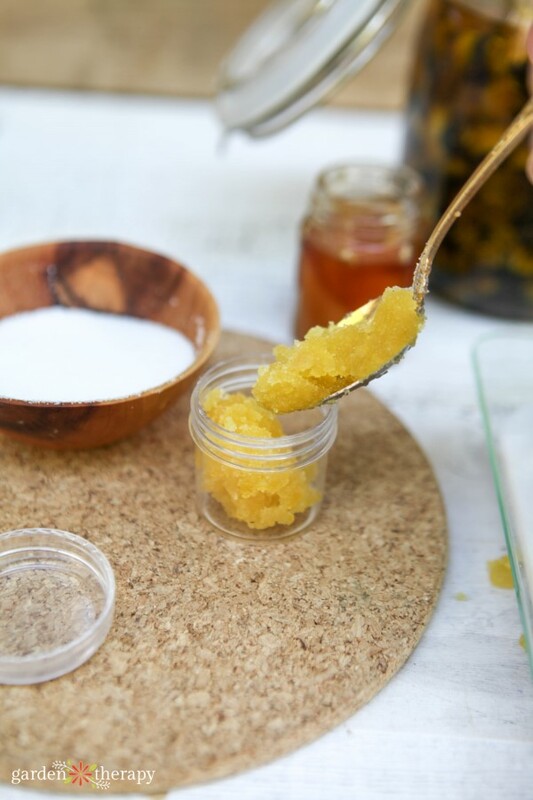 To use: apply a pea-sized amount to lips and massage in until the sugar has dissolved. Rinse with cool water and a cloth. Apply the lip balm of your choice. 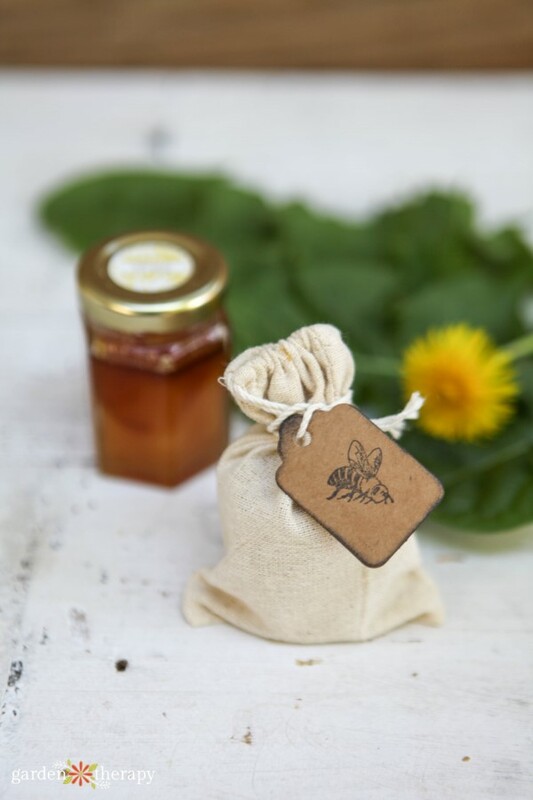 Create a label on craft label paper and make a small tag with a bee stamp. Burnish the edges of the label and the tag by dragging the edges of the label and tag on a black ink pad. 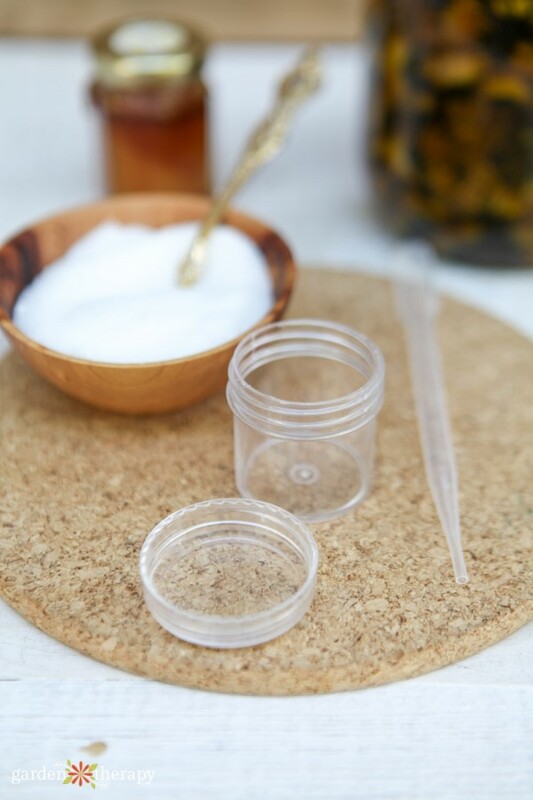 Attach the label to the top of the jar, and attach the tag to the string of a small cotton muslin drawstring bag. Do I have to wait 30 days in order to use? No, you can use it right away.